The United States and five other countries reached an historic agreement with Iran over its nuclear program last week after months of negotiations. 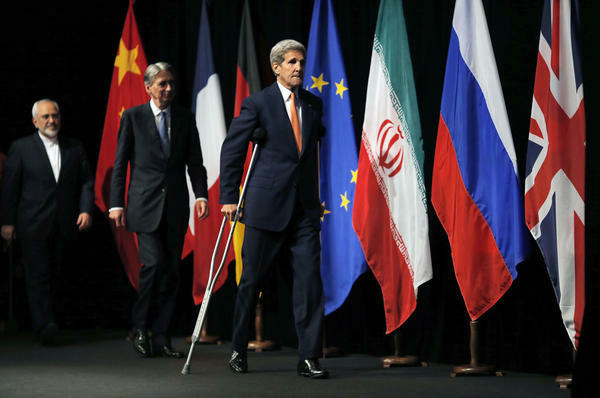 The deal includes restrictions on Iran’s nuclear program and requires regular inspections. In exchange, world powers will drop some of the toughest sanctions against Iran. Georgia Democratic Congressman David Scott opposes the agreement. Scott said when nuclear negotiations with Iran first started, all the nations involved – including the United Nations and NATO – agreed that under no circumstances would Iran acquire a nuclear weapon or the capacity to build one. WABE’s Martha Dalton and Denis O’Hayer contributed to this report.